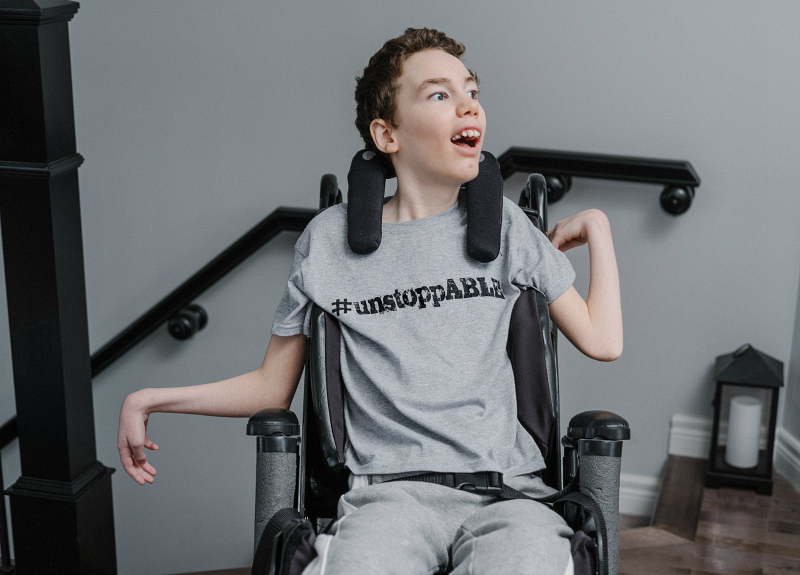 Easter Seals Canada has launched a new fundraising and awareness campaign called "Unstoppable", and it couldn't come at a better time for us. After all that Brennen has been through with this most recent surgery (see HERE), he is making an incredible recovery, and proving to everyone that he truly is unstoppABLE! As kids, we're told that we can do anything we put our mind to - we can be anything we want to be if we want it bad enough. We're told that anything is possible with hard work, passion and dedication. If we have dreams, set goals and give our best effort, there are no limits to what we can achieve. Easter Seals believes it’s no different for kids living with disabilities. For these kids, facing challenges in life may be inevitable... but backing down is optional. With a lot of perseverance and some help from Easter Seals, we believe all kids living with disabilities can become #unstoppable! 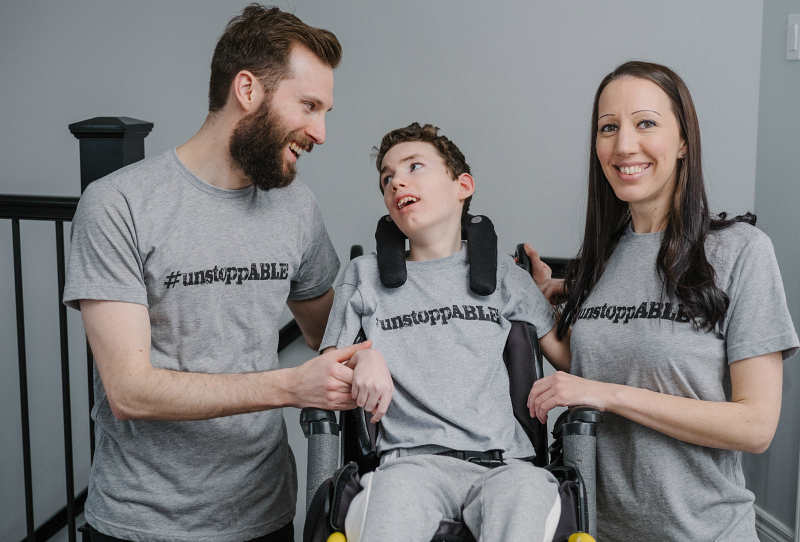 The Unstoppable campaign features the accomplishments of three young people who have grown up with support from Easter Seals. Brandon Liston is a confident and charismatic speaker thanks to his role as Easter Seals National Ambassador. Zak Madell is a Paralympic wheelchair rugby athlete who, after only one year in the sport, led Team Canada to a silver medal at the 2012 London Paralympics. Victoria Chen is a top student, an accomplished pianist and a former Provincial Ambassador for Easter Seals Ontario. Easter Seals is dedicated to fully enhancing the quality of life, self-esteem and self-determination of all Canadians living with disabilities. As Canada's largest local provider of programs, services, issues-leadership and development for the disability community, Easter Seals provincial organizations offer transformative programs and services at the local level. Serving a broad range of people with varying physical, intellectual, sensory and learning disabilities, Easter Seals helps to ensure that everyone living with a disability has access to the equipment, programs, services and support they need to make the most of their abilities. For some, what are typically seen as the simple everyday routines and rhythms of life can be fraught with barriers, challenges and obstacles - making life anything but simple. Having a disability can severely limit a person’s ability to access their world and enjoy the same experiences as their able-bodied peers. For many, a disability can even affect how they see themselves and how they view their own abilities. It can lead to lower self-confidence and self-esteem which can cause them to doubt their potential and their ability to contribute positively to their community. It is the mandate of Easter Seals across Canada to help with the programs, services, support and assistance that Canadians living with disabilities need to truly access their world and live life to the fullest. With the support of donors, sponsors and partners, Easter Seals helps change the lives of children, youth and adults living with disabilities from coast to coast. Click HERE to order your own t-shirt. They have sizes for the whole family!